Access leading martial arts instructor insurance cover, combined with our renowned association membership. Affordable, flexible and designed specifically for martial arts senseis and instructors. 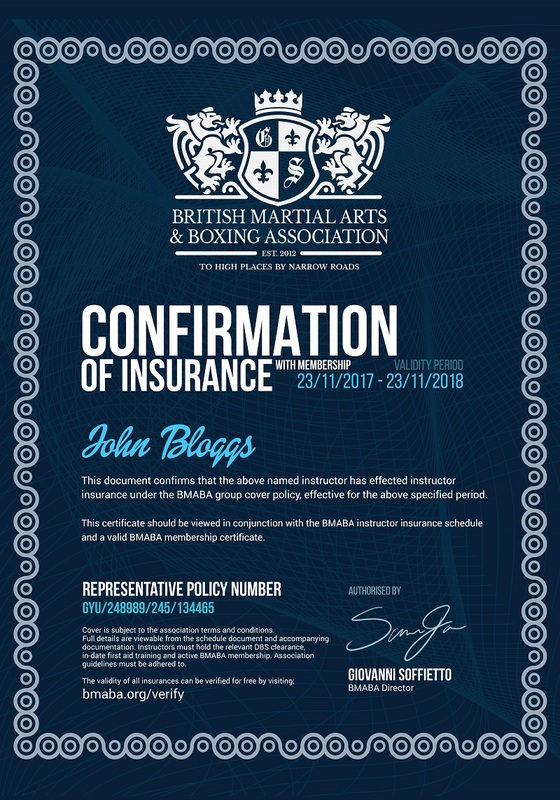 The British Martial Arts & Boxing Association (BMABA) is one of the UK’s leading providers of Martial Arts Instructor Insurance – both Martial Arts Instructor Public Liability and Professional Indemnity cover is available from our leading Group Cover Policy. Cover is available for more than 250+ disciplines and styles, including Karate, Jujitsu, Mixed Martial Arts, Muay Thai Boxing, Judo, Taekwondo, Kung Fu and loads more. Our instructor insurance is designed to be flexible and affordable, and as a leading Governing Body for martial arts, we’ve tailored the policy to fit our instructor’s needs. Don’t leave one of your most important professional obligations up to an insurer with no knowledge of what’s involved with the instruction of martial arts – trust a professional association who has access to a specialist group cover policy. All of our instructor insurance policies are combined with our renowned martial arts association membership, to provide you with everything you need under one roof. This means not only do you gain access to our specialist martial arts instructor insurance policy, but you’ll also gain access to a range of tools, licensing and services combined with your membership with our governing body. Find everything you’ll ever need for your club, bundled into your insurance premium, all at no extra cost. We’ve been given the latitude by our specialist insurer to endorse additional disciplines as and when we need to. All of our BMABA Approved Syllabuses are also fully insured. It’s worth bearing in mind that this list is only updated from time to time. We often endorse new disciplines on a case by case basis, so if you can’t find the style you’re looking for above, chances are we can cover it. Speak with our office for confirmation. Can’t see your discipline listed above? 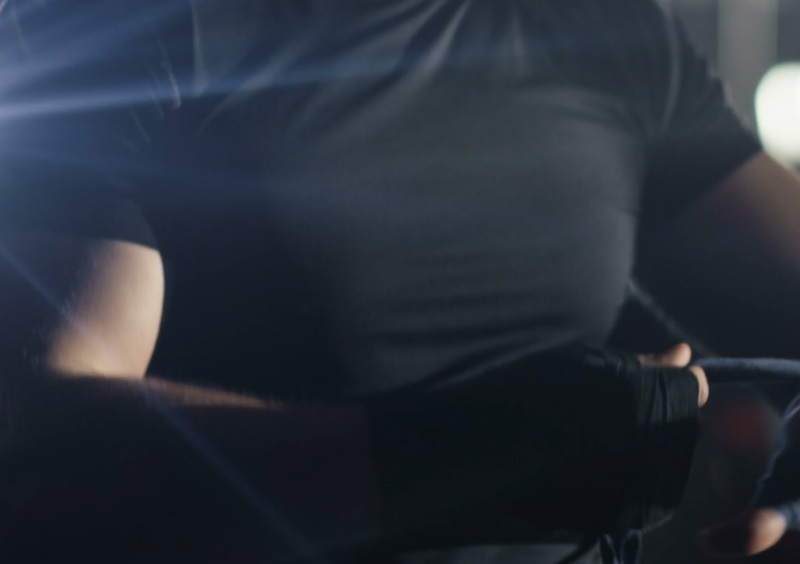 If it’s a genuine, recognisable and sensible discipline of martial art or unarmed combat then chances are we can negotiate cover for you with our specialist broker. Unlike generic insurance companies that sell martial arts insurance without any idea what each style actually involves, we understand the expertise and speciality of each style listed above and can often help our underwriters understand how a martial arts discipline can be a sensible risk. 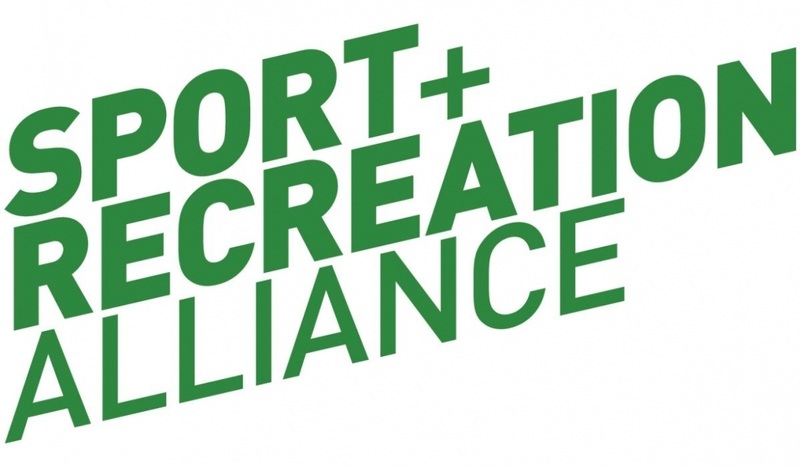 Monthly And Annual Membership Available. We Can Also Provide Big Discounts For Multi-Instructor Quotes. We understand how important it is for you to be sure your insurance is covering you for the martial arts your teaching. The insurance provided with BMABA membership is not just a pre-packaged group cover policy from a big provider, nor is it a available anywhere else on them market. 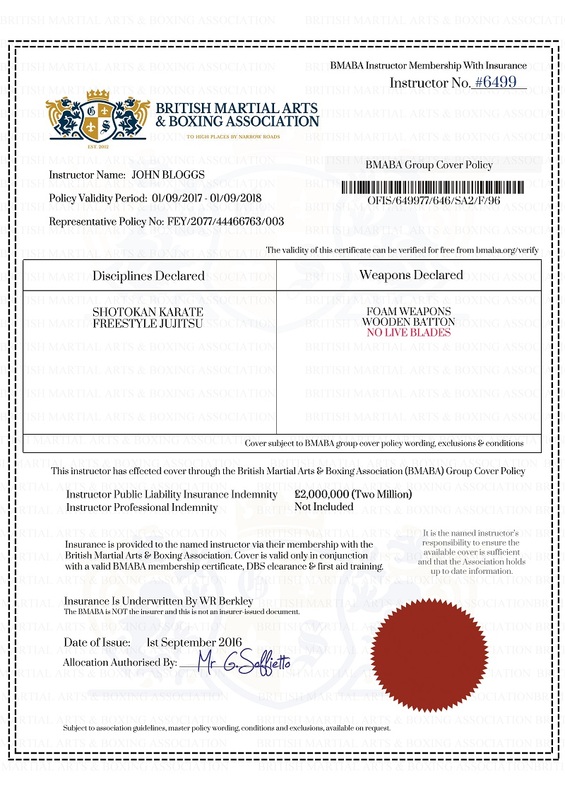 Because of our leading position as a respected and professional martial arts organisation our specialist broker and underwriting provider has permitted us, at our request, the ability to determine our own regulation and requirements for insurances – and for that to be recognised by the policy. This means the requirements set under the policy are decided in-house by our expert senior management team. We understand the disciplines and styles you teach and the nature of martial arts. We know how different styles will teach students in different ways and we know the innate pressures and responsibilities on instructors. When you take out BMABA instructor insurance combined with membership you’re not only gaining specialist insurance at some of the market’s best prices, you’re accessing a range of guidance, regulation and support to keep you safe and protected as a club should the worse happen too. We want you to be absolutely certain what you are and are not covered for. For your reference, please ensure before effecting any insurance cover with membership you’ve studied both of the below documents. Our martial arts instructor insurance is combined with our renowned and internationally recognised BMABA membership. This means alongside a fair priced, legal instructor insurance policy designed to cover your public liability and / or professional indemnity needs you’ll also enjoy access to one of the UK’s leading martial arts associations range of tools, features, resources, membership benefits, licensing provisions and insurances – all for one affordable price tag. We respect the law and don’t illegally resell named instructor insurance policies like many other organisations. In order to directly sell named instructor insurance products directly from an underwriter a company must by law be registered with the Financial Conduct Authority (FCA). The FCA regulate insurers and other financial bodies in the UK and participating in a regulated activity (such as being an insurance intermediary) without the proper regulation is illegal. Many martial arts associations in the UK are so set on making a quick profit they ignore (or don’t understand) this very important fact and will sell named instructor insurance policies – often from MartialGuard or Insure4Sport – onto instructors for a profit. This sometimes involves editing the insurance certificates or schedule of cover too. It’s baffling to think this sort of unprofessional activity continues today. Clearly a true show of the (what should be) by-gone day of martial arts associations being ‘boy’s clubs’ and exclusive haunts. Purchasing a policy from an unregulated association that doesn’t have an effective group cover policy in place and that instead purchases on your behalf from an insurer isn’t just illegal, it risks you not being covered in the event of a claim. BMABA instructor insurance isn’t sold to you. Instead it’s provided along with membership via our BMABA specialist group cover policy, so you can be sure your cover is safe, sound and legal. The fact that you’re not only being ripped off or misled isn’t the single biggest issue here either. The risk of an unregulated and unauthorised insurance intermediary isn’t just their legal liability, it’s yours too. If an association or company acts on your behalf and purchases in your name with an insurer there is a risk of an error or omission, and you can’t always be sure you’ve been given the full facts relating to the policy conditions or limitations either. In the event of a claim you can find yourself liable in full for any costs payable. Any insurer selling named policies should have a clearly visible FCA registration number. Accordingly, all instructor insurance provided via our Association is compliant with FCA regulations. We are not the insurer, underwriter or broker and don’t act in any type of regulated activity. Instead, instructor insurance is provided by our group cover policy and is only available in conjunction with membership. Our membership+ options offer you the chance to purchase membership that includes instructor insurance. Our group cover policy is managed by a specialist and FCA regulated broker. Weapons. Styles Without Grades. MMA. Multi-Disciplines Custom Syllabuses. Covered. Thanks to our specialist negotiated group cover policy we can offer a range of tailored, sensible insurance solutions combined with membership from just £6.99 per month to cover everything from Mixed Martial Arts Instructor Insurance Public Liability requirements through to Weapon Training and Professional Indemnity Insurance for Self Defence Instructors. Public Liability covers the cost of defending your business if someone is injured, or their property damaged, whilst participating in supervised martial arts, covered by the policy. Professional Indemnity covers the cost of defending you against allegations of professional negligence (such as giving your client incorrect or wrongful advice) and if unsuccessful, the cost of damages awarded against you. This is not just another ‘off the shelf’ group cover policy or a third person named policy. Our group cover policy is a specialist insurance provision via a specialist broker and is the culmination of more than 2 years work. We are offered the scope and latitude by our insurer to effectively hold the underwriting pen and dictate what is and is not safe, recognised or insurable. This not only helps us set some of the best standards of safety and professionalism in the UK, but allows us to offer our instructors cover that is specifically tailored around the need of real martial artists with the widest scope of cover available from any UK insurance provider. 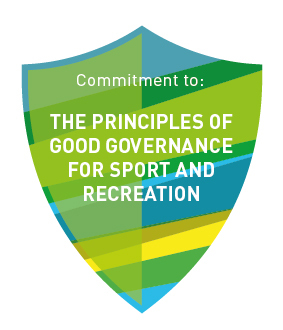 It’s our trusted name and robust governance that affords us the confidence of underwriters to insure public liability and professional indemnity in areas like Mixed Martial Arts (MMA), Kickboxing and other high risk or specialist disciplines. We understand that having the correct documentation can sometimes be almost as useful as having the correct insurance itself. Because all cover is issued via our association’s group cover policy we’re able to produce the insurance confirmation certification, as your insurance is allocated to a slot on our group cover policy. 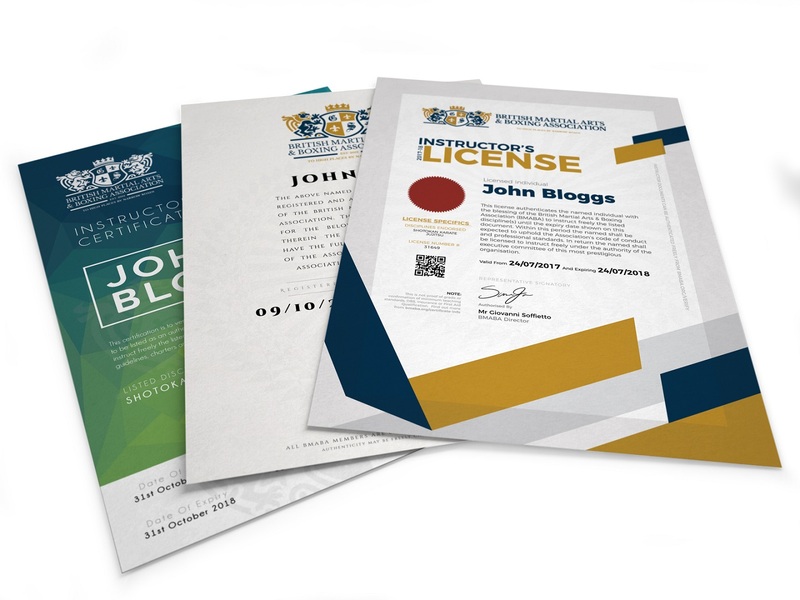 This means you can expect the same high standards of beautiful certification for your instructor insurance, alongside your membership. The instructor insurance certification, individually authorised by the Association Director with every policy, confirms to any authority, venue, parent or student that you have effected an instructor’s insurance arrangement via our Association’s group cover policy. It indicates your unique representative policy number and details the validity period, with your name clearly stated too. The BMABA internal instructor insurance schedule confirms the particulars of the cover arranged with our Association’s group cover policy and makes it clear that alongside membership with our association, you’ve also instated instructor insurance too. The disciplines and weapons used are clearly stated, along with the liability of public liability insurance and (if you opted for it), the level of professional indemnity too. We are not just providing an ‘off the shelf’ insurance and membership solution. Our group cover policy has been specially designed and structured to offer our organisation the ability to determine what the insurer will and will not recognise. 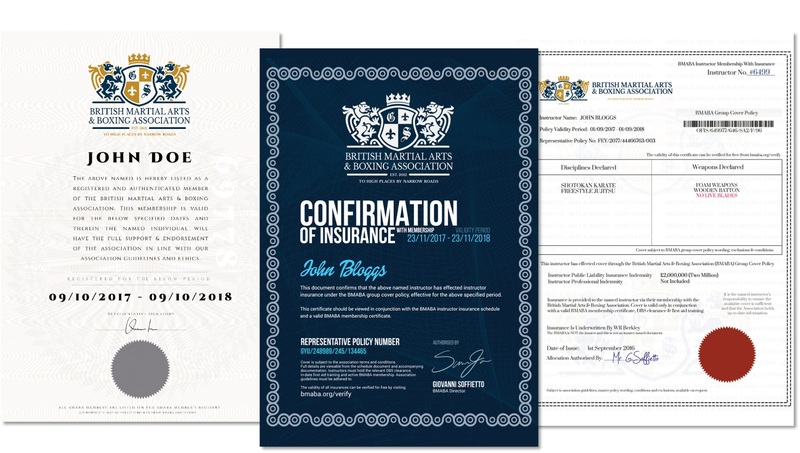 This means your insurance is backed up by the definitions and requirements of a leading UK martial arts organisation, rather than the ‘grey areas’ defined by an insurer who does not truly understand what it is you do and need. Our cover is both specialist and affordable. If you’re finding ‘dirt cheap’ cover elsewhere from standalone insurers look out for small print requiring you to be registered with a non-descriptive association and please take the time to ensure the cover is going to protect you should you need to depend on it. Martial Arts instructor insurance can be a tricky thing to get right. With so many options and so much small print, terms & conditions and exclusions it’s really difficult to ensure you’re covered at the right price. As an Association we’ve launched an initiative aimed at ensuring martial arts instructors understand their potential liabilities & know their rights when it comes to insurances – be it boxing or martial arts instructor insurance, martial arts student cover or even events cover. We hope you’ll find our insurance options straight forwards, easy to understand and as thorough as possible. We’d ask that you do not rush into any quick buys without considering all of the options & the policy details in full as all insurances are non-refundable.